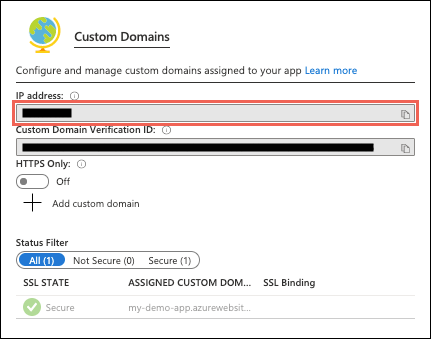 You can configure Azure DNS to host a custom domain for your web apps. 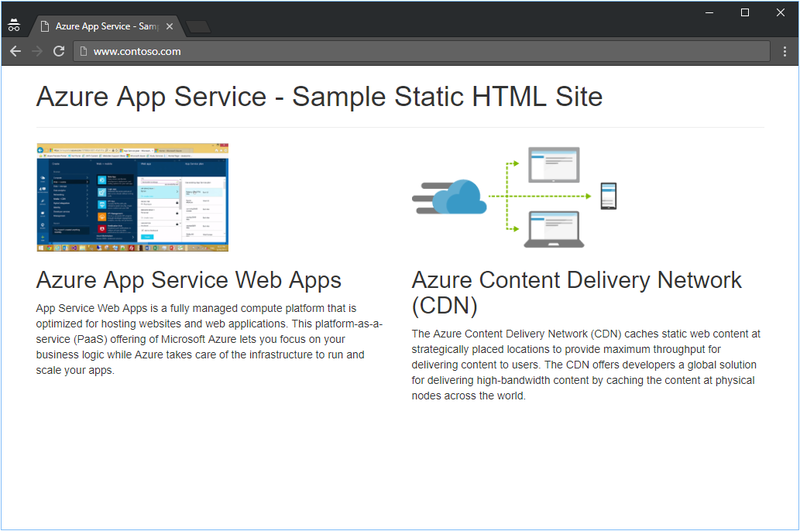 For example, you can create an Azure web app and have your users access it using either www.contoso.com or contoso.com as a fully qualified domain name (FQDN). Contoso.com is used as an example throughout this tutorial. Substitute your own domain name for contoso.com. Keep in mind that if you create an A record for a web app in Azure, the A record must be manually updated if the underlying IP address for the web app changes. You must have a domain name available to test with that you can host in Azure DNS . You must have full control of this domain. Full control includes the ability to set the name server (NS) records for the domain. Create an App Service app, or use an app that you created for another tutorial. Create a DNS zone in Azure DNS, and delegate the zone in your registrar to Azure DNS. To create a DNS zone, follow the steps in Create a DNS zone. To delegate your zone to Azure DNS, follow the steps in DNS domain delegation. After creating a zone and delegating it to Azure DNS, you can then create records for your custom domain. An A record is used to map a name to its IP address. In the following example, assign "@" as an A record using your web app IPv4 address. @ typically represents the root domain. 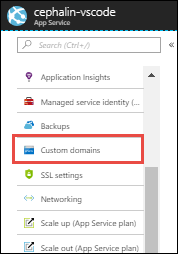 In the left navigation of the App Services page in the Azure portal, select Custom domains. App Services uses this record only at configuration time to verify that you own the custom domain. You can delete this TXT record after your custom domain is validated and configured in App Service. If you want to verify the domain name, but not route production traffic to the web app, you only need to specify the TXT record for the verification step. Verification does not require an A or CNAME record in addition to the TXT record. If your domain is already managed by Azure DNS (see DNS domain delegation, you can use the following example to create a CNAME record for contoso.azurewebsites.net. Open Azure PowerShell and create a new CNAME record. This example creates a record set type CNAME with a "time to live" of 600 seconds in DNS zone named "contoso.com" with the alias for the web app contoso.azurewebsites.net. Open a browser and browse to http://www.<your domainname> and http://<you domain name>. Make sure you include the http:// prefix, otherwise your browser may attempt to predict a URL for you! When you no longer need the resources created in this tutorial, you can delete the myresourcegroup resource group. Learn how to create Azure DNS private zones.